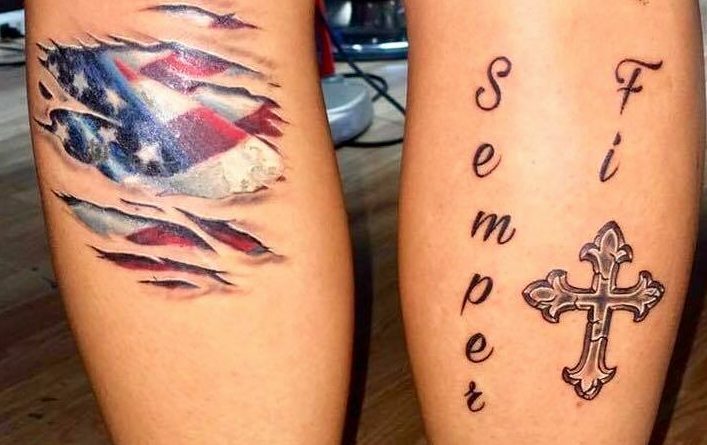 I got these tattoos for “God, Country, and Corps”. 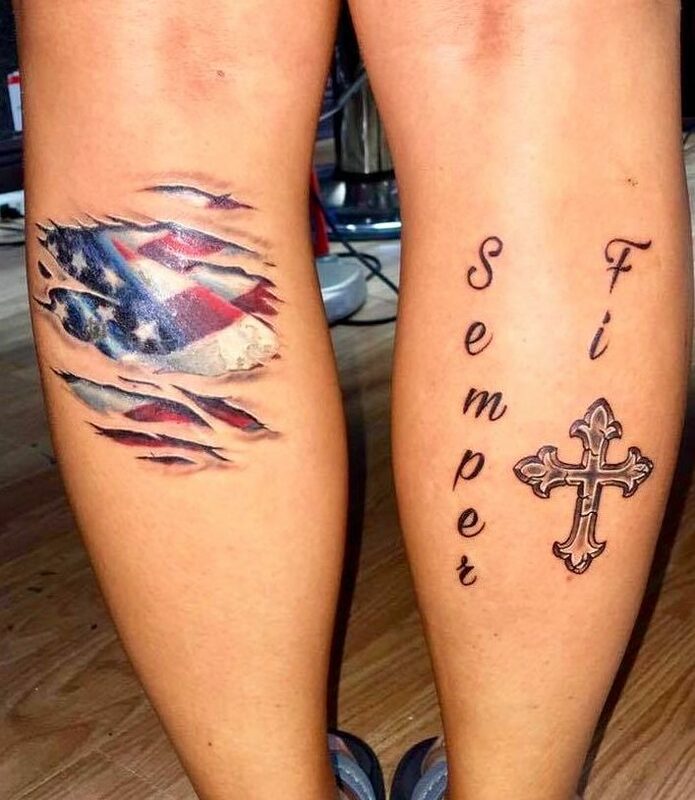 SEMPER FI!! In the early 90’s, I enlisted in the Delayed Entry Program during my senior year of high school. After having done 4 years of JROTC, I decided to join the USMC. 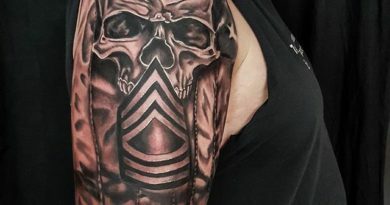 I served 4 years and after getting out I went into Law Enforcement. I’m extremely proud of my service, and my 21 years as an Law Enforcement Officer. Service runs in our family. My husband worked 41 years as an LEO and SWAT, and our son is currently in the USAF. 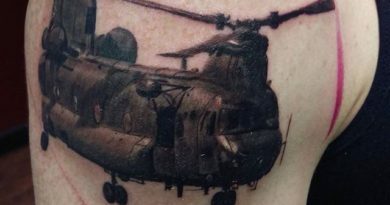 I also have an Honorable Discharge from the Army National Guard and the Air National Guard. It’s all about Patriotism.